https://docs.google.com/spreadsheets/d/19tQVOpqQgtR97mlyCv-P325fXpRapP9plRY4mYZz1wM/edit?usp=sharing Above is the sharing link to my budget/item list google sheets. You have access to view and comment...basically it's just an organizer for everything I am going to need, and a rough estimate for the costs. If you guys have any specific items or changes I should make, please make a comment on the document. Thanks! And feel free to email me at gamingwithcarso@gmail.com and I will respond as fast as possible. Do these magnets look about right in size? How many do you use per piece of armor? Does anyone have a video of you assembling your armor using the clamps and magnets? Send a video to my email gamingwithcarso@gmail.com if you have one, please! Thanks! alright thanks for the help guys! so you use a combination of magnets and clamps? alright, thanks! what kind of magnets are those??? and where do you even find those? Alright thanks :) i was nervous and thought i did something wrong and started this arguement. Question: how many clamps do you guys recommend I get for gluing the armor? Alright, I’ll check with Mark. Anyone know a good place to get a blaster? That’s the thing i’d be missing at this point. Rigging will come when I decide to order the suit. Just need an idea of where I will get the extras. So I am gonna be making my first ever build...I am gonna be ordering a ROTJ kit from sskunky (picture of his work below), which will require me to do some basic trimming and glueing, and then adding the straps. I have found some boots (as seen below)...do they work for a build like this? Also, I need to find the neck seal, and the gloves...any suggestions to where I can find those? The undersuit shouldn’t be a problem. Thanks for the help! Hi! My name is Carson, and I live in Manitowoc, Wisconsin. I am almost 17 years old, and I am a high schooler that enjoys running and I also work at the AMC theater in my town. I’ve been a huge Star Wars fan since I was a few years old. My aunt actually works for Nissan and got to visit the sets of Rogue One, my personal favorite movie...mostly for the stormtroopers! 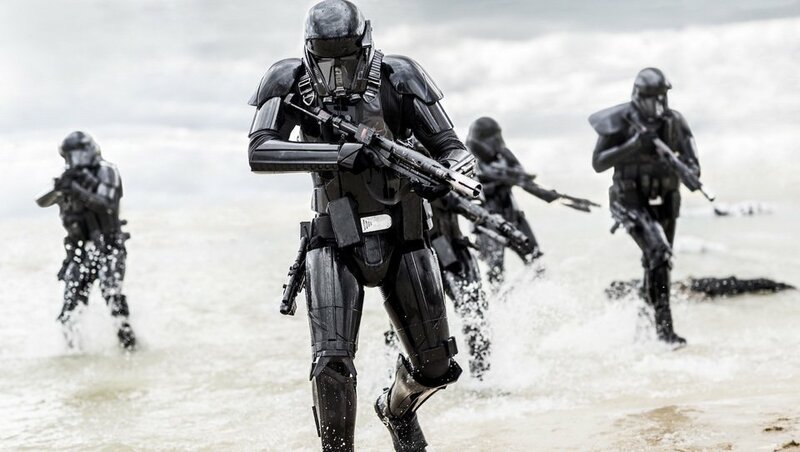 My favorite stormtrooper variant is the Death Trooper from Rogue One. I actually have collectible Nissan helmets (replica and life size) of the Death Trooper, FO Executioner (aka Death Panda) and the Range Trooper (from Solo). I have been wanting to get a stormtrooper suit for years. I don’t really have the capability to custom make my own suit, as I am just a high schooler. I have been looking to buy at least a kit to assemble my own suit. My dream would be to one day join the 501st. If anyone has any suits they’re selling, or knows of a place to buy a suit or kit, or maybe knows an easy way to make my own suit, let me know! My email is gamingwithcarso@gmail.com (that’s my youtube channel as well, Gaming With Carso) I am 5’8’ and 120 pounds...that’s a runner’s body right there if that helps for finding a way to make or buy a suit. Thanks!!! Here is a link to my page I created for my first build. Going to be buying a ROTJ kit from sskunky and then finding the other parts on my own. Thanks for the support!